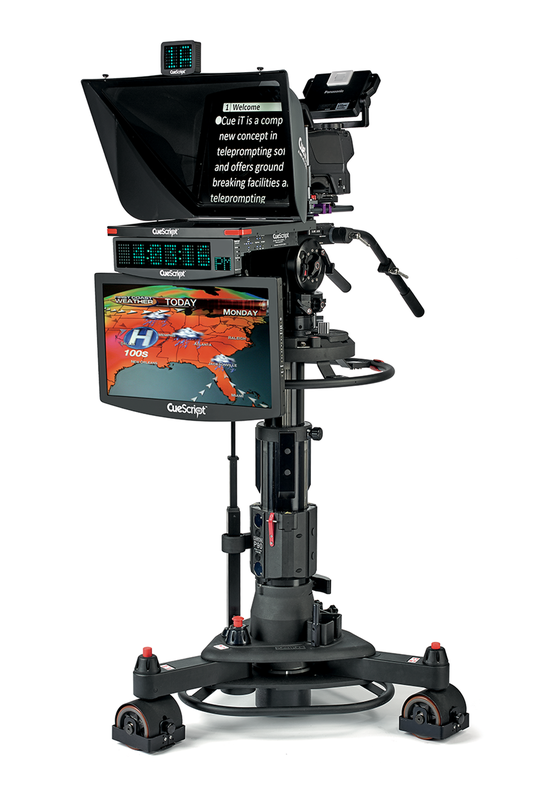 A digital time code display that mounts to the CueScript CSM prompter range. 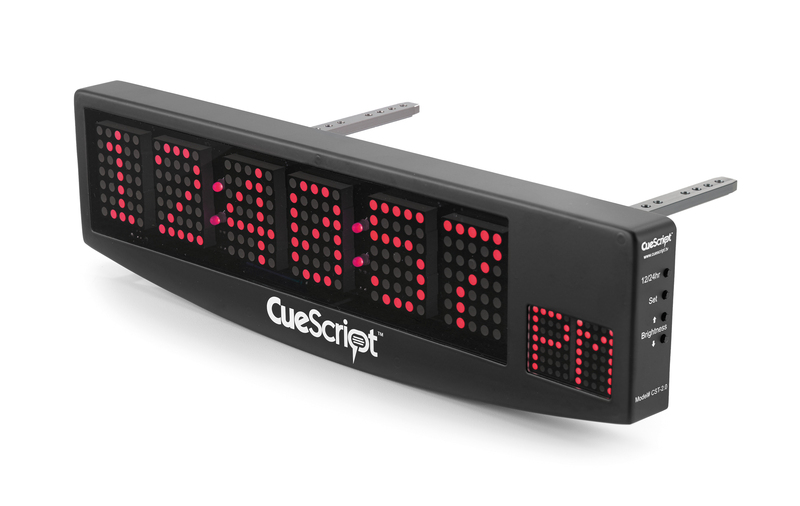 The CueScript Time Display also doubles as a cue light, taking the camera tally signal via CueScript’s photoelectric cell sensor or the wired camera tally. This changes the numbers from green to red when live/on air. Reads and displays VITC SMPTE time code both NTSC and EBU. (6) 2" 5x7 dot matrix 5mm LED displays and (2) 1.2" 5x7 3mm displays for AM or PM. Changes colour from green to red on tally. 12 hour or 24 hour mode selection. Clock time can be externally set for when no VITC available. Backup time is kept with 32 kHz watch crystal. 1+ year battery backup (2 AAA cells) changeable without tools. Powered directly from monitor (5V) and low current (500ma). Total weight with mounting arms of just 0.7kg.